This torque wrench is extremely functional and versatile as its kit includes many bits (hex and Torx) and even an extension bar. You might fail to hear a 'click' (telling you the pre-set torque has been reached) in case it's noisy around. 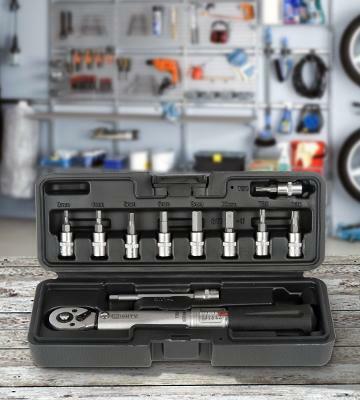 Thanks to the impressive functionality and versatility, the Mighty torque wrench is the best choice for those who ride a bicycle or a motorcycle. There is a grooved knob for adjusting the torque. This torque wrench is unbelievably easy-to-use thanks to a direct vision scale. The tool is somewhat heavy. 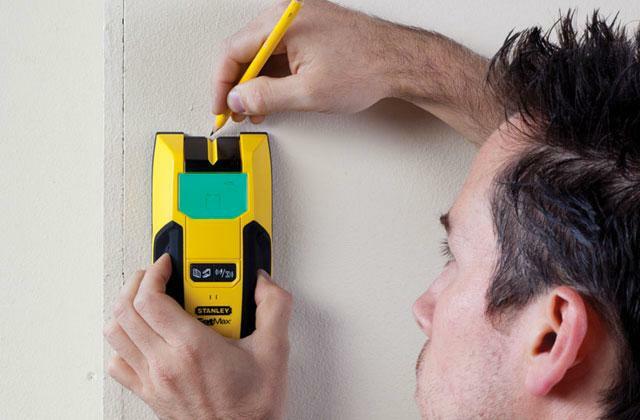 It's an excellent tool for handling different household tasks, as well as for vehicle maintenance works in a garage or a small workshop. The Silverline torque wrench boasts a wide torque range and can cope with the tightest threads. 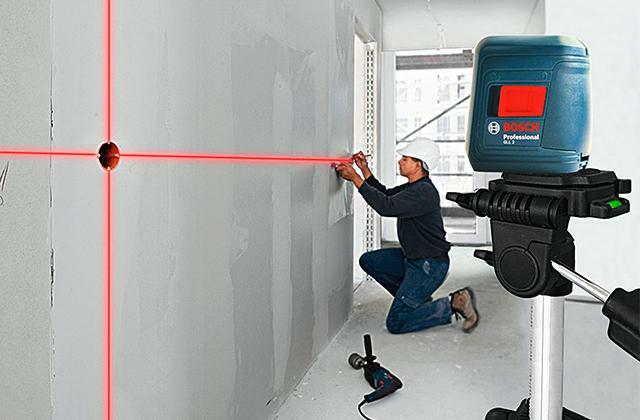 The tool is durable thanks to the chrome vanadium steel it's made of. 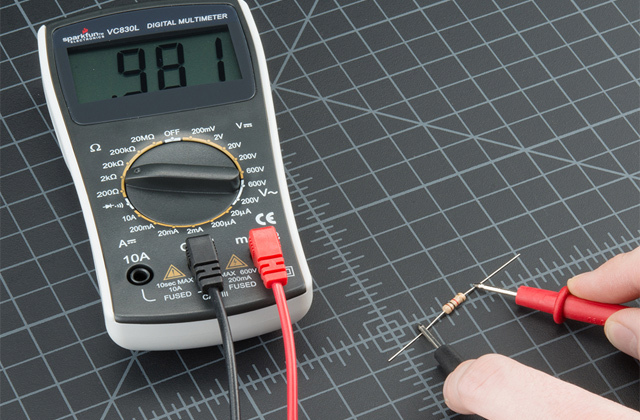 Some users note the tool isn't calibrated accurately enough. Being functional and utterly reliable, this torque wrench is suitable for heavy-duty applications, as well as for home use. Every Sealey torque wrench is individually tested and comes with a special certificate proving its quality and accuracy. The scale might be somewhat difficult to read. 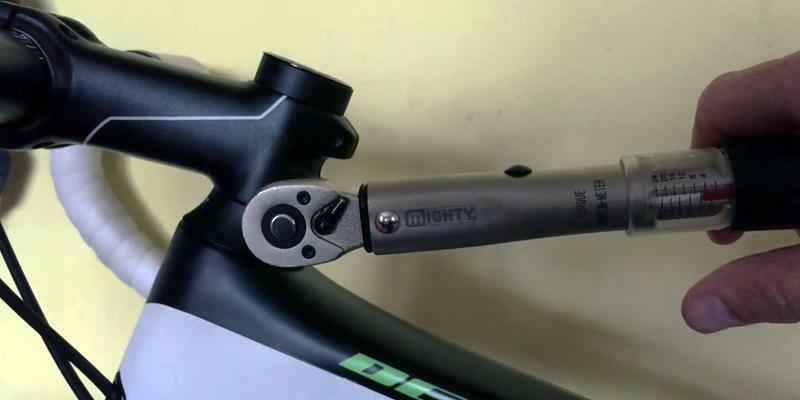 With the help of the Sealey torque wrench, even unskilled cyclists will be able to quickly fix their two-wheeled vehicle. You can use this torque wrench for quite a long time due to its small weight. 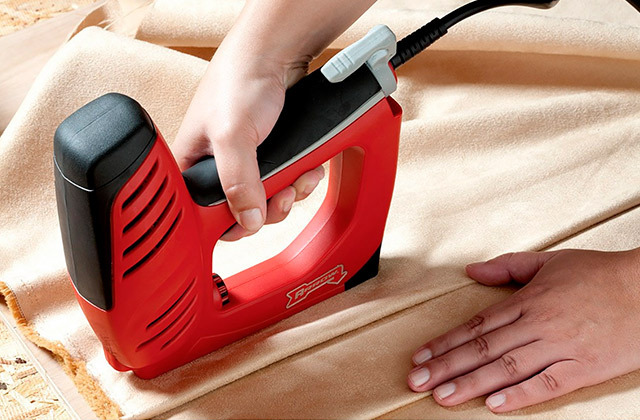 Thanks to a considerable length of the tool, you will be able to tighten fasteners even in hard-to-reach places. There are no Nm measurements on the scale. 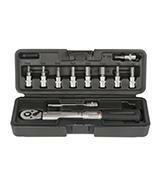 It is an ideal torque wrench for occasional home use at a really good price. Highly efficient for low-torque applications! Very often, a certain torque wrench is the most suitable for a specific application. As for this Mighty torque wrench, it will surely please all bike and motorcycle riders. 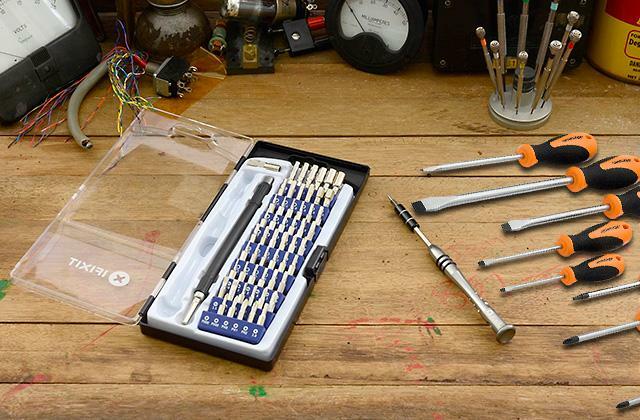 To begin with, we would like to draw your attention to a great supply kit: there are 6 hex bits (from 3 to 10 mm) and 3 Torx screws (T20, T25, T30) that are useful for assembling / disassembling bicycles or motorcycles. The torque range of this tool is from 2 to 24 Nm, which means you can carry out maintenance of any part of a vehicle with the same wrench. As usual, the required torque for any specific fastener is indicated so that you know well to what extent you need to tighten it. Of course, the durability of a bike or motorcycle depends on whether you follow these instructions or not. Keep in mind that overtightening a fastener may result in thread stripping. 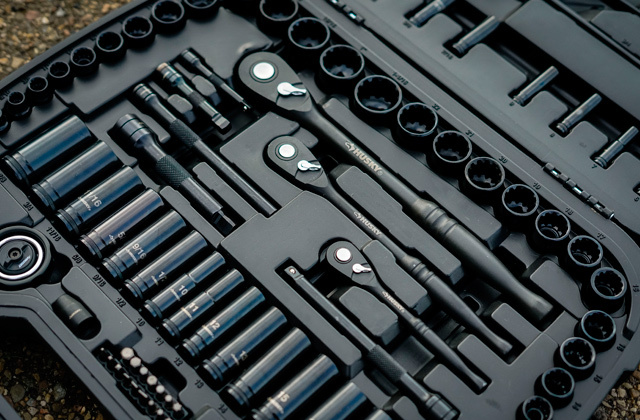 Apart from hex and Torx bits, the kit contains an extension bar, allowing you to apply the torque wrench even in hard-to-reach places. The whole kit comes in a handy carrying case - it is compact and easy-to-carry. Therefore, you can carry the case wherever you ride and cope with any technical malfunctioning in no time! 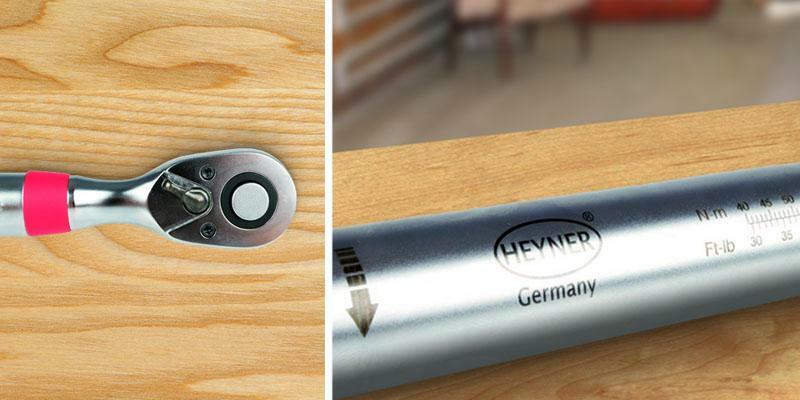 The Heyner HT348000 torque wrench is certainly a decent choice as this tool boasts a thought-out design and fantastic quality. The steel body of this tool is extremely durable, so this torque wrench will work for many years. The scale with a convex lens is readable and highly accurate. Moreover, it offers two different measurement units - Nm and Ft-Lb, so you are welcome to choose the one you like. 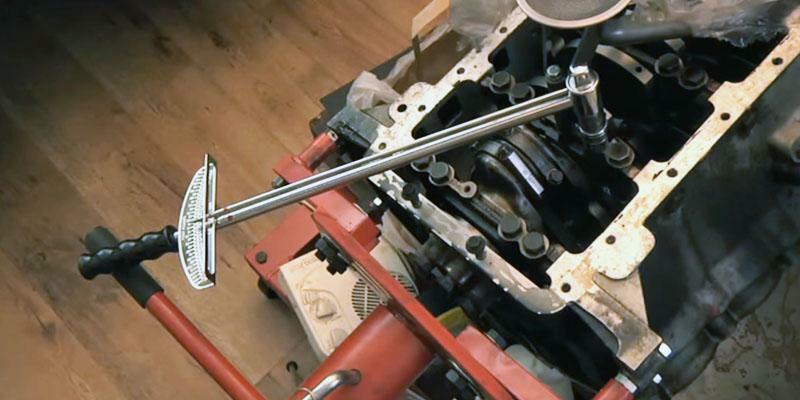 The torque wrench can be driven both to the right and to the left. As for the torque range this tool offers, it is from 40 to 200 Nm. Thus, the torque wrench is perfect for using at home or in a garage. The torque adjustment knob is very comfortable due to its grooved shape, so setting the required torque is effortless. 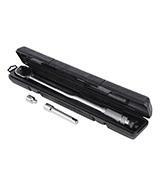 Finally, we would like to highlight that the item comes with a case which will be very handy for professionals as well as for people who need to use torque wrenches at different sites. The tools manufactured by Silverline are well-known not just in the UK but all around Europe as well. 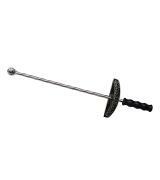 Impressive annual sales are the best evidence to the high quality of the company's products and we could not make a torque wrench review without a tool from Silverline. 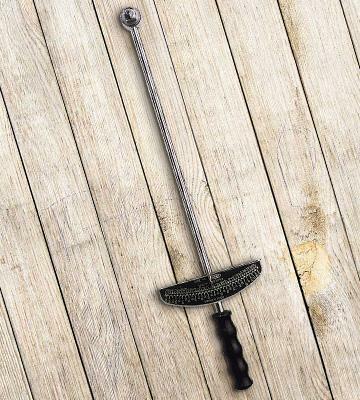 The 633567 tool is made of genuine chrome vanadium steel, so the durability is above all praise. This torque wrench will help you tighten or loosen the most stubborn fasteners. The torque range is fairly wide - from 28 to 210 Nm. 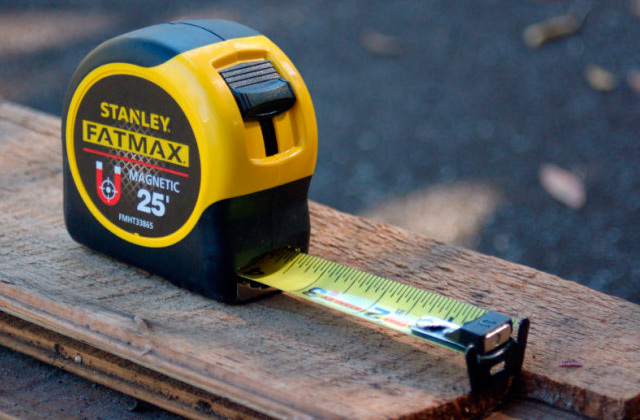 The company's engineers did their best to make the wrench as functional as possible by adding a 3/8" - 1/4" drive adaptor and an extension bar (75 mm long). Thus, you can use lots of different bits and drive the fasteners in the most hard-to-reach parts of mechanisms or vehicles. 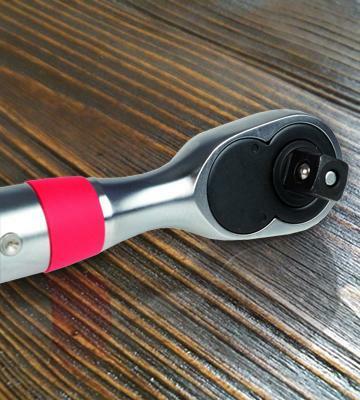 To set the torque you need, there is a locking ring whereas the handle of the tool is knurled for a better grip. Taking a really wallet-friendly price for this torque wrench, you can't make a better choice! 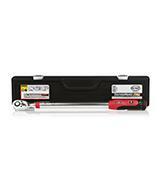 The Sealey STW1012 is a truly worthy torque wrench worth every penny it costs. A small torque range may look misguiding and even disappointing to you but it is not so. Not every fastener requires a high torque and some mechanisms might even break down if the fasteners are tightened too much. Moreover, overtightening may damage a thread. 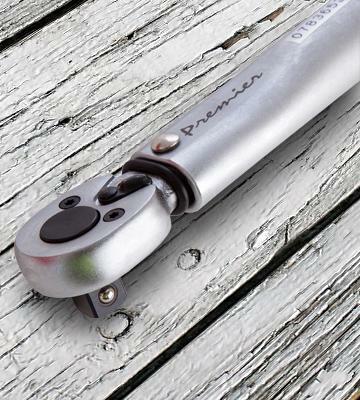 This Sealey torque wrench was created for low-torque applications such as fixing a bicycle or some household mechanism. In our opinion, this model does this job flawlessly. The manufacturer treasures its reputation and for this reason, every torque wrench is tested individually in order to meet the strictest quality standards. Moreover, every model comes with a numbered test certificate! 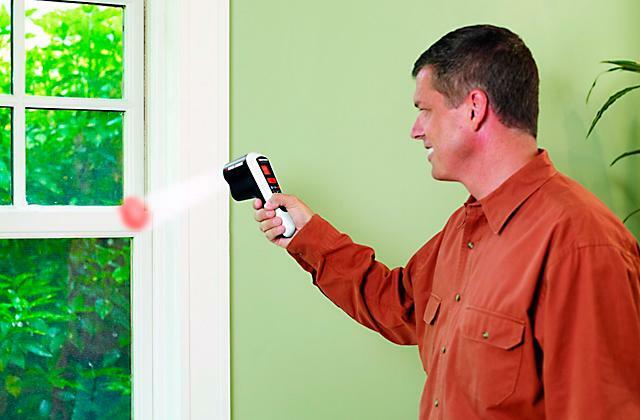 Thus, you can be sure that the product you get has an unparalleled accuracy. Finally, we would like to mention that the tool comes with a convenient storage case. This model manufactured by Draper is a great cheap-as-chips torque wrench. 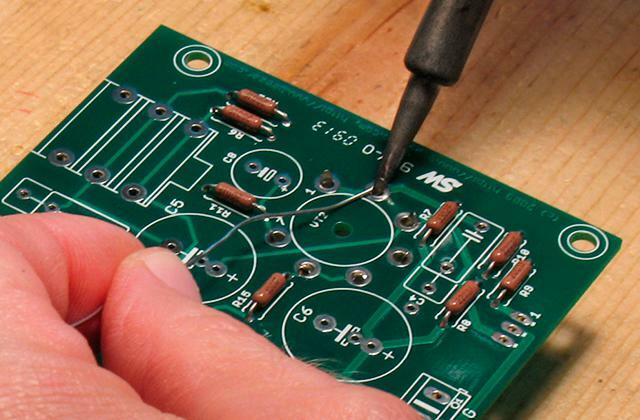 Yet, its quality is not inferior to that of far more expensive tools. The Draper 34487 is made of metal, so the torque wrench will surely work well for years to come. This torque wrench has a minor drawback - the scale has no Nm measurements and some customers might find it fairly inconvenient. Yet, the scale has two units of measurements - m/kg and lb-ft. However, you can easily find a unit conversion app (many of them are available online). 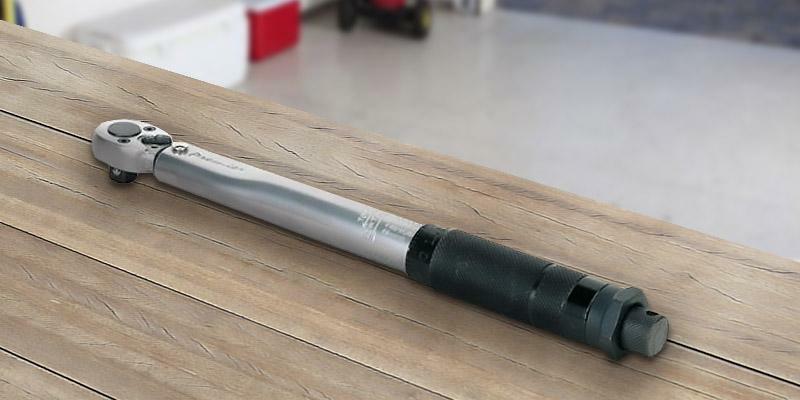 In all, the Draper 34487 torque wrench is ideal for occasional home use. For example, this tool is a great assistant for fixing a bicycle as well as other vehicles. 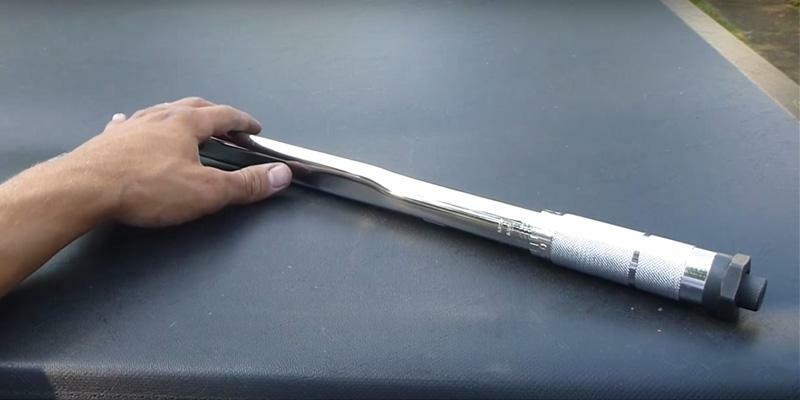 You can even repair a car with the help of this torque wrench! 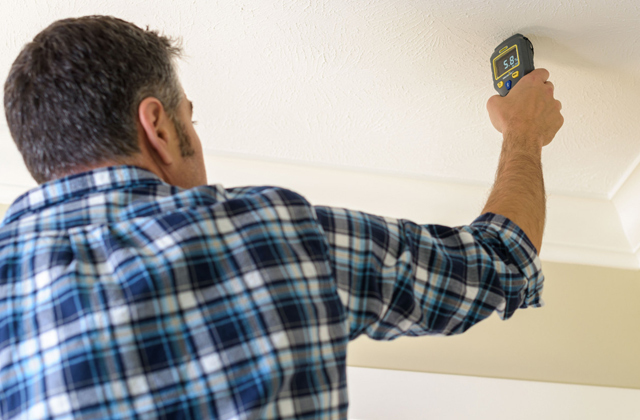 If you are looking for an affordable, durable, and accurate tool - the Draper 34487 wrench will surely be a good choice. Today, lots of mechanisms require a certain torque for a proper and durable operation. Otherwise, there might be a thread failure, a mechanical damage, loose tightening, and so on. Many people think that they can somehow feel the necessary torque but it isn't so and it's much better to rely on a special tool called a torque wrench. 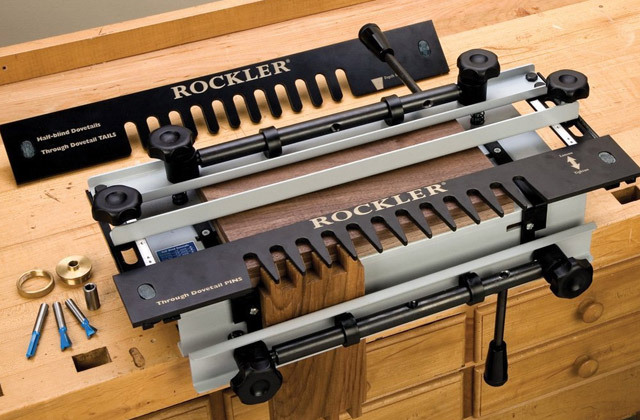 These tools allow you to tighten any fastener with the accurate torque (very often it's specified in the manual to a mechanism you are assembling or disassembling). 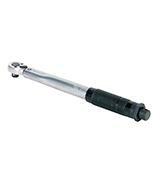 Torque wrenches are widespread in the assembly and maintenance of automobiles, bikes, engines, and so on. If you need a simple tool for basic repair works, look through our review of electric screwdrivers. 1. Steven Douglas How to Choose a Torque Wrench, eHow. 2. 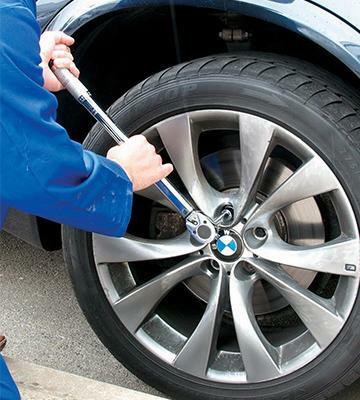 4 Torque Wrench Buying Tips, CARSDIRECT. January 27, 2012. 3. Torque Wrenches, DIY Network. 4. 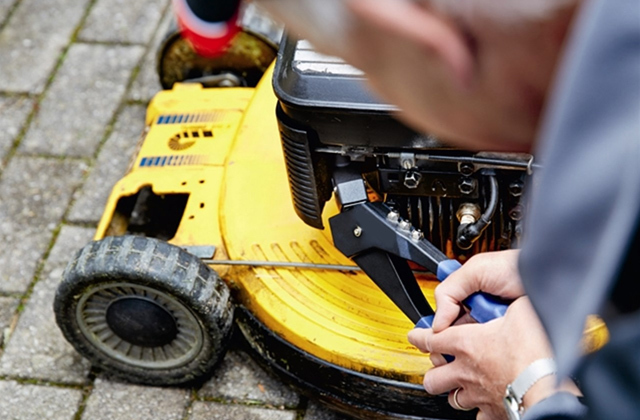 How to Use a Torque Wrench, The Family Handyman. 5. Torque wrench, Wikipedia. October 25, 2016.